Two promotion candidates in National Two North clash in Round 21 as Hinckley host Chester as the final third of the season gets underway. The visitors are currently second in the league standings and find themselves just two points behind league leaders Hull Ionians heading into this weekend. Jan van Deventer’s side have the chance to further cement their place in the top two, but they will have to do something no team has been able to achieve so far this term. Chester travel to a Hinckley side who remain unbeaten at home as the Hornets have won nine and drawn one of their 10 matches at Leicester Road. However, George Chuter’s men are 10 points behind the play-off spot due to their woeful away record so they will be hoping another triumph on their own turf can keep them in touch with the leading pack. The aforementioned Hull Ionians will be desperate to recapture their early season from when form when they entertain South Leicester on Saturday after rocky spell for the table toppers. The I’s have lost four of their last eight games which has seen their cushion at the summit almost disappear, but South will be hoping to disrupt Hull’s promotion ambitions further when they arrive at Brantingtham Park. Elsewhere, high-flying Fylde visit bottom of the table Peterborough Lions, Otley travel to Leicester Lions and Preston Grasshoppers go to Macclesfield while the other three fixtures in National Two North have all been postponed due to the recent bad weather. As November drew to a close, Hull Ionians found themselves nine points clear at the top of National Two North and all roads seemed to be leading to an immediate return to the third tier of English rugby. However, from a position of comfort and control, Hull’s promotion bid as taken a spin as four defeats from their last eight games has blown the title race wide open. Their latest loss to Stourbridge means the Yorkshire outfit are just two points clear of the chasing back as the final third of the season begins this weekend. One factor which needs highlighting is all four of Hull’s recent setbacks have come on their travels whilst they have a 100 per cent record at Brantingham Park this term. With this in mind, their 11th successive victory at home seems the more favourable outcome this weekend with South Leicester currently sitting in the bottom three, but the Midlands club are going through a mini revival. Twelve points from their last five games, including victories over Sheffield Tigers and Hinckley, mean South are now just eight points shy of safety. With Hull Ionians going through a blip, can the visitors capitalise and upset the league leaders? It was about time Chester took advantage of a Hull Ionians defeat. In our last preview, we mentioned Jan van Deventer’s side had failed to cash in on the misfortune of the table toppers on a couple of occasions, but it was third time lucky for the Cheshire outfit last weekend. A solid victory in Round 20 over Peterborough Lions cut the lead at the summit to just two points and now the men from Hare Lane will be keen to keep the pressure on. This Saturday, they travel to Hinckley who still have to be considered as one of Chester’s rivals despite another away defeat last weekend. The Hornets, who sit in sixth place, have lost seven of their eight games on the road since September which has seriously hampered their top two hopes. They now sit 10 points behind Chester, but it is their home form which is just about keeping their ambitions alight. 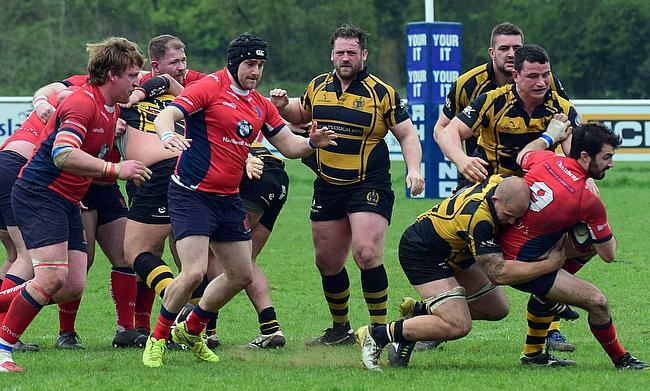 George Chuter’s side are unbeaten at Leicester Road so far and another triumph in front of their own supports on Saturday could spark Hinckley’s promotion aspirations back into life. After suffering a surprising loss against Sheffield Tigers in Round 19, Warren Spragg’s side produced an excellent response to conclude January as a 31-5 victory over Tynedale saw them immediately return to winning ways. The Lancashire outfit flicked their promotion challenge back into gear and they come into this weekend just three points off the top two places in National Two North. When you look at the bigger picture, Fylde have only lost one of their last 11 games so if you’re a betting person, your money may well be on the men from Woodlands when they travel to bottom of the table Peterborough Lions on Saturday. The Lions were outclassed by Chester last time out and their 14th defeat of the campaign leaves them 22 points from safety, with a game in hand to come against Tynedale at the end of February. With 11 matches left to play, time is running out for Peterborough Lions and a positive result this weekend may well be a necessity. Last weekend, winger Alex Beaumont was the star of the show for Otley as he scored four tries as his team clinched victory against Macclesfield in a thoroughly entertaining contest at Cross Green. Charlie Maunder and Tom Casson would have been pleased to see their side return to winning ways at the first time of asking (after losing to Preston Grasshoppers in Round 19) and their latest win means Otley are 10 points off the top two. As we keep mentioning, you cannot dismiss Otley from this promotion battle just yet and they will be looking to strengthen their possible top two claims when they travel to Leicester Lions in Round 21. Like Otley, the Lions immediately bounced back from a defeat thanks to the ingenuity of Dan Lewis. His quick-thinking and accurate drop goal snatched the win for Andy Key’s side against Sedgley Park last Saturday and the Midlands club are now up to 12th in the league standings. After losing their last home fixture against Huddersfield, the Lions will be itching to triumph on their own patch against Yorkshire opposition this time around. Preston Grasshoppers were disappointed not to build on a solid first half performance against Wharfedale last weekend. Paul Arnold’s side led 14-0 at the break, but Dale fought back to clinch the victory in an ill-disciplined affair at Lightfoot Green. The result for the Hoppers kept them in ninth spot and after a tough start to 2019, they will be hoping to reignite their season as they begin February against Macclesfield. The hosts on Saturday currently find themselves in the bottom three and despite a spirited response against Otley in Round 20, Marshall Gadd’s side slipped to their fifth straight defeat. The Blues are showing glimpses of what they are capable of, but it is slowly becoming a requirement for Macc to produce a performance for 80 minutes as they are now 14 points from safety. All four of Macclesfield’s wins this term have come at Priory Park and a fifth victory needs happen quickly for the Cheshire outfit if they are to avoid the drop.